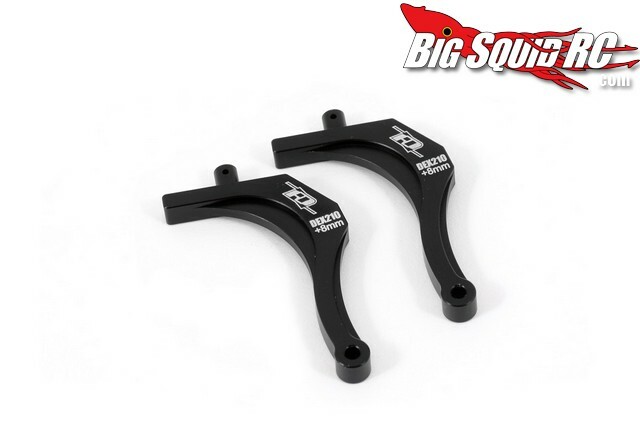 Revolution Design Racing Products (RDRP) C-Hubs and Wing Mounts for Durango 210 Series « Big Squid RC – RC Car and Truck News, Reviews, Videos, and More! The crew over at Revolution Design Racing Products (RDRP) have some new option parts for your Team Durango 210 Series vehicle. First up are new 7075-T6 aluminum C-Hubs. These bolt right up to your DEX210, DESC210, or DEST210, and are much more durable than the stock plastic parts. The new C-Hubs come with a black finish to add that trick look to your rig. Next up is a new +8mm aluminum rear wing mount. 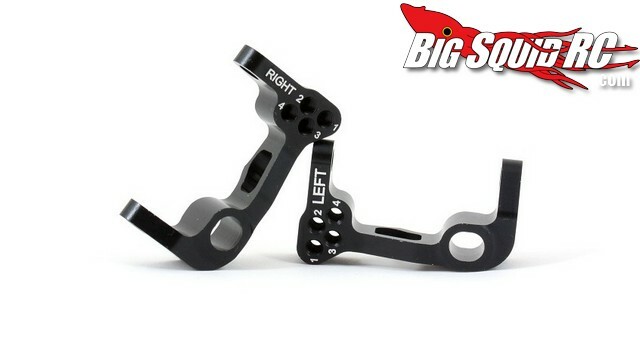 This comes in two different styles, one for rear motor set-ups, and one for mid-motored. These are also made out of 7075-T6 and come murdered out in a black finish. The added 8mm of height at the rear wing gives more clearance for the rear tires and helps to improve aerodynamics. For more information on these and all of RDRP’s fine line-up of products hit up their Official Website. To view more RDRP news click THIS link right here on BigSquidRC.